Happy spring to all of you! Hope those of you with markets opening soon are enjoying the pre-season prepping, and those of you with year round markets – hope your winter was fantastic! The weather here on the Island has been unseasonably dry and warm – so I am cautiously optimistic about early veggies coming to markets. I am honoured and grateful to be your board president this year, with many thanks to Wylie Bystedt for her leadership and encouragement over the past years. I also want to thank Shankar Raina for his time on the board. His professional, philosophical and practical approach made for fulsome productive conversations. Both Wylie and Shankar will be missed. New to the board this year are James Gates (Creston Valley), Nicole Moorehead (Quesnel) and John Byrnes (Sechelt), joining Jim Fowler (Hazelton), Rubina Jamal (North Vancouver), James MacDonald (Armstrong), Laura Smit (Vancouver), Patty Hollister (Victoria), and myself (Cumberland). 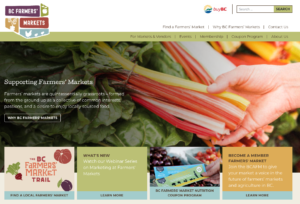 I am looking forward to another amazing year of development and partnership with the launch of the new website, the continuation of the BC Farmers’ Market Trail initiative, development of our vendor program, and of course, supporting markets with education and opportunities including the Farmers’ Market Nutrition Coupon Program. Our staff team, Heather, Georgia, Anice and Meredith along with Peter and Tahlia on the coupon program are an amazing group of people who accomplish so much for the association and our members, and we are blessed to have their commitment and passion working for us. I will be trying to get to as many markets as possible this season, and I would be happy to hear from any of you with suggestions, concerns or issues facing your market. Please don’t hesitate to be in touch anytime: president@bcfarmersmarket.org or 250.218.0321. Thank you for the privilege to serve you all! All the best for the 2019 season! Over the last months the BCAFM underwent a brand review and refresh, including the development of a new logo. Building on a farmers’ market sector review and market research, we wanted to update our look while communicating our core values of community, connection, support and staying local. The new logo integrates a variety of shapes, colours, and images, to represent community building, vibrancy, and the collective purpose of BC’s farmers’ market sector. Also coming soon, is a “Proud Member” logo allowing member farmers’ markets to better showcase their BCAFM affiliation. We are also thrilled to announce the launch of the new BCAFM website which is jam packed with easy to find information to support member markets and vendors. 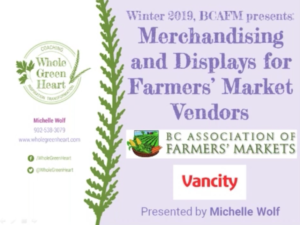 The new site hosts a multitude of user friendly resources and compliments BCAFM’s existing consumer-facing website, the BC Farmers’ Market Trail. Explore the new website, and check out the new tools & resources database, webinars, and enjoy the fresh new look! 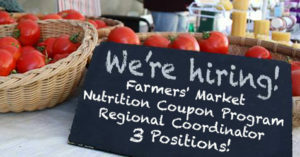 Apply to be a Farmers’ Market Nutrition Coupon Program (FMNCP) Regional Coordinator in the Kootenays & Columbia Basin, Vancouver Island & Gulf Islands, or the Lower Mainland. Support the BCAFM and participating farmers’ markets and community partners in the delivery, systems and administration of the FMNCP. There are seasonal contracts from June to November, for 10 – 14 hours/week. Apply by April 22, 2019. 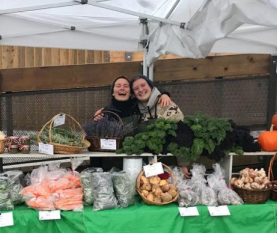 Now in their sixth year, the BC Farmers’ Market Awards recognize the work of all those who make farmers’ markets thrive as venues for community connection and strong local food systems. This year’s winners include Forbes Family Farm of Oliver, who was named vendor of the year in the farmer category. 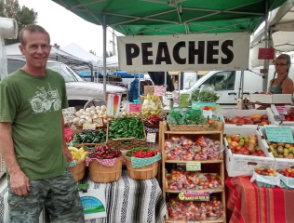 Brothers, Gord and Steve Forbes are second generation farmers that have been selling their certified organic, naturally grown and salmon safe produce at the Penticton and and Kelowna Farmers’ and Crafters Markets for over 20 years! Congratulations to all nominees and winners of the BC Farmers’ Market Awards. Sue Hughes of Sunrise Cottage Farm is the recipient of the 2nd annual Mary Forstbauer Grant. 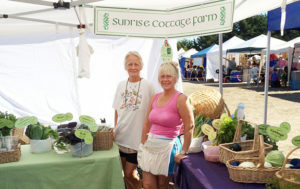 Sue sells at the Metchosin Farmers Market, and with this grant she plans to build a proper post-harvest cleaning, washing and packing station on her farm. She also plans to develop a wheelchair accessible packing out area so more community members can engage in farming activities in a comfortable, safe and warm environment. Congratulations Sue! 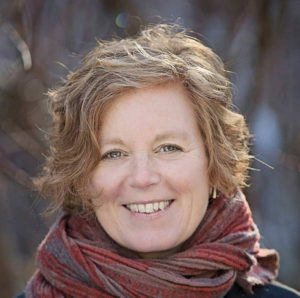 With Michelle Wolf (part of the BCAFM’s Winter Webinar Series). Developed by the co-op sector in partnership with the BCAFM. We publish a subversive document cunningly disguised to look like a beautiful coffee-table magazine! We know that sounds odd, but it’s true. 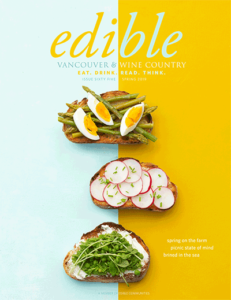 Our magazine is designed to appeal to the broadest demographic—people who eat—and our aim is to inspire them, through beautiful photography, yummy recipes, and engaging stories, to care more about food. Not in a precious, foodie way, but in a way that gets them to cook more with fresh ingredients, ask questions more, and learn about where food comes from, how it is grown, and by whom. We aim to make choosing local such a mainstream idea that the vast majority of eaters will just do it by default. We realize the importance of creating a sustainable local food system, which is why we invest in local producers, processors, manufacturers, whole-salers, distributors, the retail/food service sector, and waste management businesses that are enhancing the economic, environmental and social health of our communities. We are particularly interested in the emerging spaces of food waste and plant based diets, and grants may be available for food related businesses that enable both human and ecological wellbeing in an approach we are calling ‘Lighter Living’.